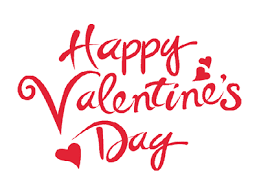 Jeannie Gray Knits: Happy Valentine's Day! 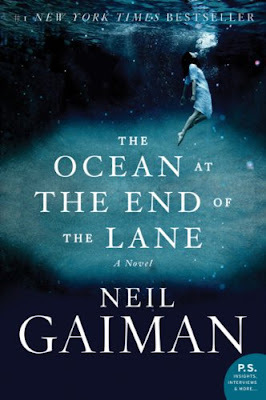 I have the ocean book on kindle but haven't read it yet. burying threads is a chore isn't it? I love when there is a liner but if not, I play a podcast and get to work. 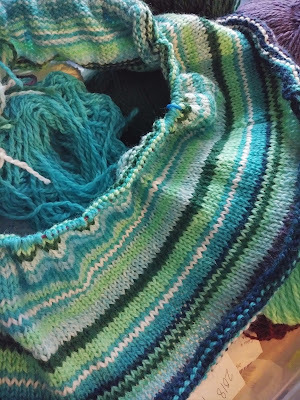 I love how your cowl is turning out so far and the colors are really nice. Happy Valentine's Day! Thanks! Happy Valentine's to you also. I love the colors playing together in you your cowl! Thanks! I'm still not crazy about that dark green but... I can't wait to see how the summer heat colors blend in. I love those colors together as well! And, yes, it is crazy pants weather, I agree! Crazy pants is a perfect description! We hit 70 the other day & 23 the next. This week, it's supposed to go up to 76, then snow & ice two days later. Crazy pants! I prefer the cool colors also. As for actual temperatures, I like what we don't have. :) I dream of summer's warmth in winter and when I'm sweating to death in the summer heat, I dream of winter snow storms.